PLEASE NOTE: ZukieStyle products are made to order and due to high demand the current lead time for production is 2 weeks. This product is temporarily unavailable. ZukieStyle specialises in bespoke accessories and offers a beautiful range of handmade hero products that will instantly set your pet out from the rest. 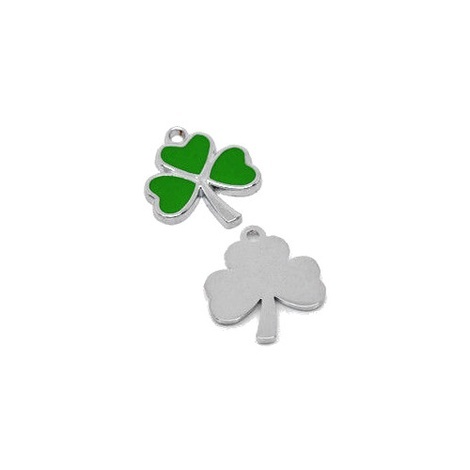 We love these St. Patrick's Day pet accessories for many a reason - firstly they look adorable - obviously! Secondly they are a light-hearted way to have some fun with your pet, and finally they make perfect gifts for our own four-legged folk and for our fellow pet-mad friends! There is also a nickel ring with bell included, to help let the birds know they're coming! 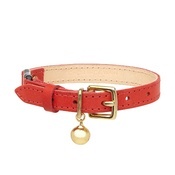 Width of collar is 3/8"" (1cm). 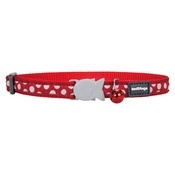 Large: 20cm-30cm (suitable for a bigger cat). Loving our kookie Zukie Style? 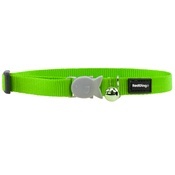 As big fans of the Zukie Style brand we are proud to stock a wide range of their products at PetsPyjamas. ZukieStyle does not accept returns or exchanges for any of its products. Our friendly team are always happy to help and only a phone call away. Call us on 0203 642 3161. Earn PetPoints every time you shop & book to redeem on gorgeous gifts & holidays. We want to hear all about your purchase once it arrives. Hand selected and tested by our in-house pet stylists. Copyright © 2017 PetsPyjamas Ltd.